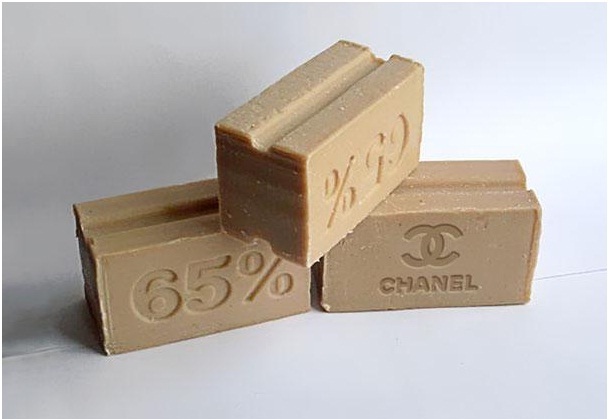 The bar (which looks like soap) has Coco Chanel's infamous logo on one side and 65 percent on the other side. The percentage represents the amount of 'cocoa' that you typically find in a piece of chocolate. This product is a play on cocoa butter, cocoa, and famed designer Coco Chanel.